Kolkata : Private sector's HDFC Bank has been decided to giving a tough challenge to Paytm with enter in the mobile recharge business and therefore HDFC has decided to give mobile recharge facility to customers through a missed call, which will be the first feature in the world of its kind. Nitin Chugh, head (digital banking), HDFC Bank, said that once a customer activates the service through a text message, all he/she needs to do was to again text a favourite recharge amount. The customer's prepaid account will then get recharged with the favourite amount each time he/she makes a missed call. The customer can also add, through an SMS, mobile numbers of family members and friends and authorize them to recharge their mobiles through missed calls by debiting the customer's own account. Separate favourite recharge amounts can be set for the additional members. "HDFC Bank customers who are registered for SMS Banking can activate this service by sending an SMS and will be activated for missed call recharge for a default amount, say Rs 50. If a customer wishes to set any favourite amount (other than Rs 50), it can be done by sending an SMS," he said. While, the payments bank licencee Paytm has claimed a customer base of 10 crore. A large chunk of this uses the digital wallet for recharging mobile phones and DTH services. Although HDFC Bank's missed call service is restricted to its customer base, it is a sizeable number going by the bank's 2.41 crore debit card base. Chugh pointed out that the missed call service is ideal for 750 million feature phones which constitute 75% of handsets in India. 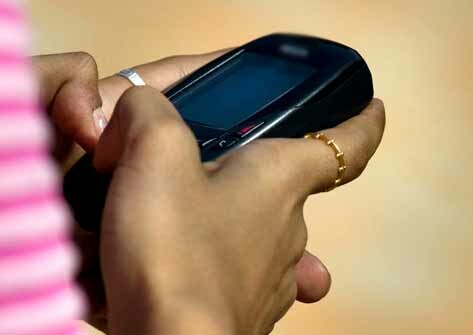 Over 85% of mobile connections are prepaid and recharges are for values as low as Rs 10. The customers can also add mobile numbers of family members and friends and authorize them to recharge their mobiles through missed calls by debiting the customer’s own account.